Talagang Chakwal Army Charpai & Special Steel Furniture sells army charpai and steel furniture. 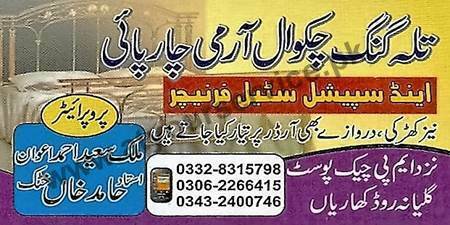 Talagang Chakwal Army Charpai & Special Steel Furniture is located on Gulyana Road, Kharian. It sells army charpai and steel furniture.